Payback Periods are unique to Renewable Energy Systems. What you pay for a SunMaxx Solar Hot Water System is an investment, like investing in the stock market – however, with SunMaxx Solar Hot Water, there is no chance that your stock will go down. Over a number of years, your SunMaxx Solar Hot Water System will save you enough money in heating costs to completely pay for itself once or more over. The number of years that it takes for a SunMaxx Solar Hot Water System to pay for itself is known as the Payback Period. How Much Does a SunMaxx Solar Hot Water System Cost? 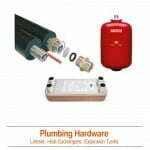 This all depends on the size of the SunMaxx Solar Hot Water System you need, your application and the cost of installation and balance of system components from outside sources. However, many can purchase and install a SunMaxx Solar Hot Water System for domestic hot water for a family of 4 at under $5,000. 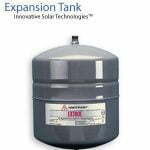 Who Can Install my SunMaxx Solar Hot Water System for me? Generally speaking, any plumber can install a SunMaxx Solar Hot Water System. If you have a particular local plumber that you work with and trust, we can assist that plumber in installing your SunMaxx Solar Hot Water System. Additionally, we can arrange your installation through our growing network of SunMaxx Solar Hot Water Installers across the United States. Or, any trained solar energy installer in your area would be happy to perform your installation. Can I Install my SunMaxx Solar Hot Water Heater Myself? Despite the relative ease of installing a SunMaxx Solar Hot Water System, SunMaxx still recommends that a trained plumber or solar installer install your solar hot water system, particularly if your system is for radiant heating, or a particularly large domestic hot water system. 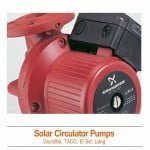 Can I use SunMaxx Solar Hot Water Systems to Heat my Pool or Spa? Yes. In fact, Pool Heating is considered one of the most affordable, efficient and cost-effective uses of Solar Hot Water Systems today. Heating a pool or spa can require a significant amount of propane, natural gas or electricity, and as energy prices continue to rise, it is becoming a more and more unnecessary and unaffordable expense. However, a heated pool often provides the benefit of being to swim earlier in the spring and later in the fall in all locations, and even all year round in some locations. How Much Money Does the Average Household Spend on Hot Water? 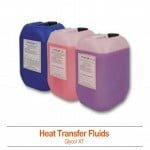 This is a calculation that is made using the price of your heating fuel and how much hot water you use. You know better than anyone how much money you spend on water heating every month and year – just by looking at your hot water bill. Of course, most Americans find that just heating water accounts for nearly 20% or more of their annual energy bills. When you take Home Heating into account as well, overall heating at your home can cost 40% or more of your annual energy bills. Will a SunMaxx Solar Hot Water System Work on a Cloudy Day? Yes, to an extent. 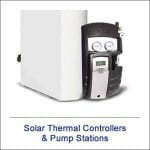 SunMaxx Solar Hot Water Systems do not only work with direct sunlight, but also with Solar Radiation. Even on cloudy days, there is ample solar radiation, which allows SunMaxx Evacuated Tube Solar Collectors to provide significant performance, even in these conditions. 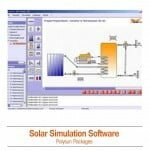 However, the performance of the Solar Collector will be less than it is on a bright, sunny day. How does Solar Hot Water Differ from PV or Solar Electricity? PV, or Solar Electric, uses the energy trapped within sunlight to generate an electrical charge. This charge can then be stored and used to power any number of electronic and electric devices. 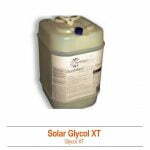 Solar Hot Water, however, is also known as Solar Thermal, and used the tremendous energy trapped within sunlight to generate heat – this heat is then transferred by any number of mechanisms to water. We can use that water for nearly every hot water application – from domestic hot water use to radiant space heating to pool/spa heating. In, fact, Solar Thermal technology is much further advanced that PV technology today – a typical PV panel has an efficiency of 14 – 20% where a Solar Hot Water System has an efficiency of 80% or better – this makes Solar Hot Water Systems one of, if not, the most cost-effective and affordable uses of Solar Energy available today. 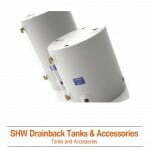 What can SunMaxx Solar Hot Water Systems be used for? SunMaxx Solar Hot Water Systems are used across the United States and around the world for nearly every water heating application imaginable. 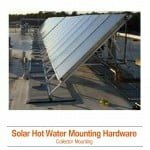 Whether your application is residential, commercial, industrial, municipal or agricultural, SunMaxx Evacuated Tube Solar Collectors and Flat Plate Solar Collectors are perfect for the job. SunMaxx Solar Hot Water Systems shine in systems designed for Domestic Hot Water production, Radiant Floor and Space Heating, and Solar Pool and Spa/Hot Tub Heating. 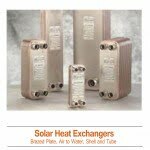 What are Evacuated Tube Solar Collectors and How do They Work? 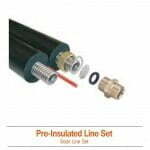 SunMaxx Evacuated Tube Solar Collectors are built with series of clear glass, vacuum sealed tubes with a special selective coating that allows solar radiation to pass through from the outside and traps it inside. This 360 degree collector design is the key principle advantage of Evacuated Tube Solar Collectors – it allows for great absorption earlier and later in the day when the sun is at odd angles for most solar collectors – leading to increased overall system efficiency and cost-effectiveness. The solar radiation then heats the copper heat pipe within the Evacuated Tube, which transfers its heat upward where it is passed to the water moving through the manifold through the specially designed condenser.